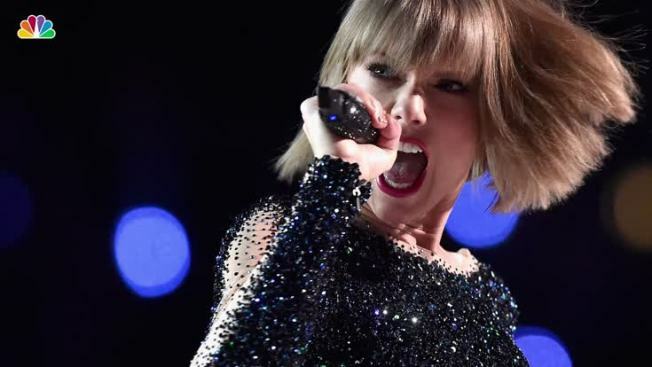 A judge on Friday threw out a Denver radio host's case against Taylor Swift in a trial that delved into their dueling lawsuits over whether he groped her during a backstage meet-and-greet and whether she and her team ruined his career. U.S. District Judge William Martinez determined that the pop star could not be held liable because David Mueller failed to prove that she personally set out to have him fired after the 2013 photo op. His identical allegations against Swift's mother and her radio liaison will go to jurors for a verdict. Swift teared up as the judge read his decision, saying there was no evidence that her actions were insincere. Afterward, her team smiled and embraced. Mueller's side didn't speak. Swift spent an hour on the witness stand Thursday defiantly recounting what she called a "despicable and horrifying and shocking" encounter before a concert. Swift's testy exchange with Mueller's attorney occasionally elicited chuckles — even from the six-woman, two-man jury. She got a laugh when she said her security guard saw Mueller "lift my skirt" but someone would have had to have been underneath her to see the actual groping — "and we didn't have anyone positioned there."